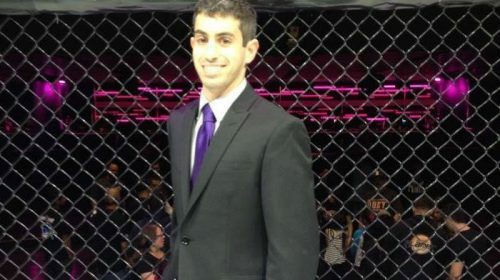 It’s been a good year for CES MMA, they have run six shows and entered into two new markets. On November 2, they will have their last fight card of the year. It will mark 11 weeks since CES had it’s last MMA show, it will also be the last show of the year for the New England based organization so matchmaker Pat Sullivan knew he had to stack the card. With that said, Sullivan has loaded the cards with several of the Northeast’s best up and coming fighters such as Dylan Lockard, Richie Santiago and Kris Moutinho and is giving them their toughest test to date. Dylan Lockard and Kris Moutinho are facing Anthony Wright (3-0) and James Quigg (4-2) respectively. Both fighters train out of Team ROC in North Carolina and Sullivan says, they are not coming to Rhode Island just to be on TV. The main event of this card is a bantamweight title fight between Dinis Paiva and Tony Gravely. The belt was vacated when Andre Ewell was signed by the UFC after he defeated Paiva via submission. Paiva is a fan favorite who was previously on a four-fight win streak. His opponent Gravely, has a record of 15-5 and is a very active fighter. Recently he went to California and captured a title with King of the Cage. His losses have also come only to top competition, including UFC fighters Manny Bermudez and Merab Dvalishvili. The fight outside of the main event that excites Sullivan the most is Kody Nordby’s return to the CES cage. Nordby was deployed by the United States military oversees and on November 2, will return to the cage. He is a fan favorite and has faced top level competition, he even holds a win over Dinis Paiva who is fighting in the main event. Another intriguing storyline to CES 53 is the return of heavyweight Parker Porter. Porter was on CES 1 and has fought the likes of Jon Jones and Gabriel Gonzaga. A fighter that has a big name and gets a lot of attention is fighting on the undercard at CES 53 is John Gotti III. So far Gotti has proven he is more than his last name by starting his MMA career undefeated at 2-0. In his last fight at CES NY 1, Gotti stopped Eddie Haws in the first round 32 seconds into the first round. Now he returns to face Josh Zuckerman (0-3). Sullivan has enjoyed the work Gotti has put into the CES cage so far. To Sullivan, what makes Gotti special is his willingness to fight for his recognition and not rely on his last name. In addition to putting on entertaining fights in the cage, part of CES’ mission is to give back to their community. October is breast cancer awareness month and even though the event is a few days after October, they’d like everyone to wear pink honor those fighting breast cancer or who have sadly passed away because of it. 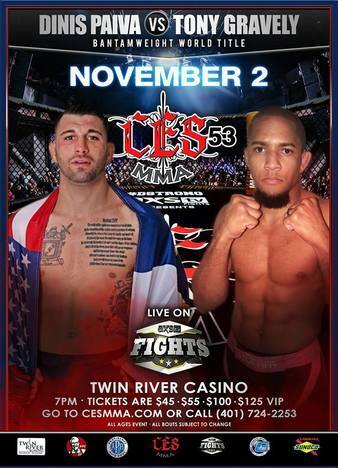 CES 53 will be televised live on AXS TV on November 2.